GPU Shark 0.10.0 adds new memory types for NVIDIA GPUs (GDDR5X, HBM1 and HBM2) and brings a new feature: the shared memory support. 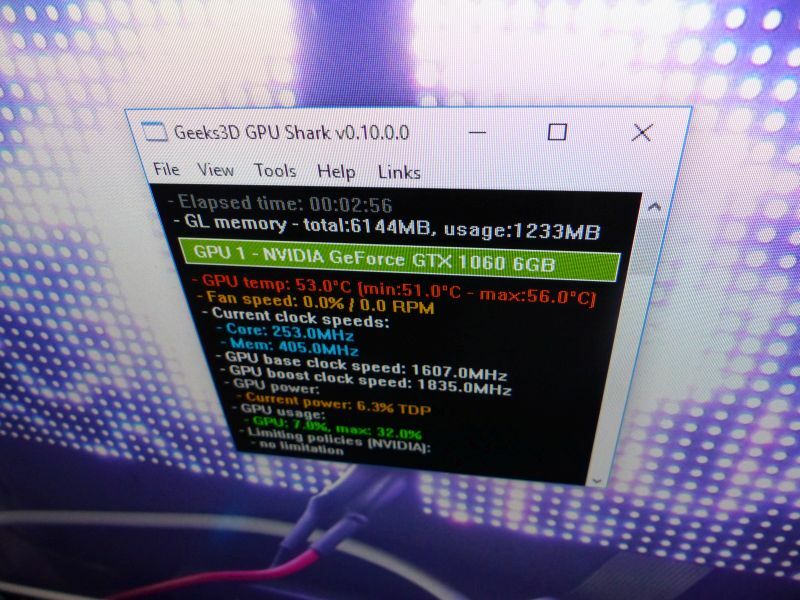 Thanks to this feature, any application can read the GPU data shared by GPU Shark. GPU Shark updates the shared memory every second. For each GPU, essential GPU data is exposed: name + codename, GPU core (temperature, clock speed and usage), GPU memory (clock speed and usage), power consumption (% TDP) and fan speed. The GPU monitoring works only for AMD Radeon/FirePro and NVIDIA GeForce/Quadro graphics cards. 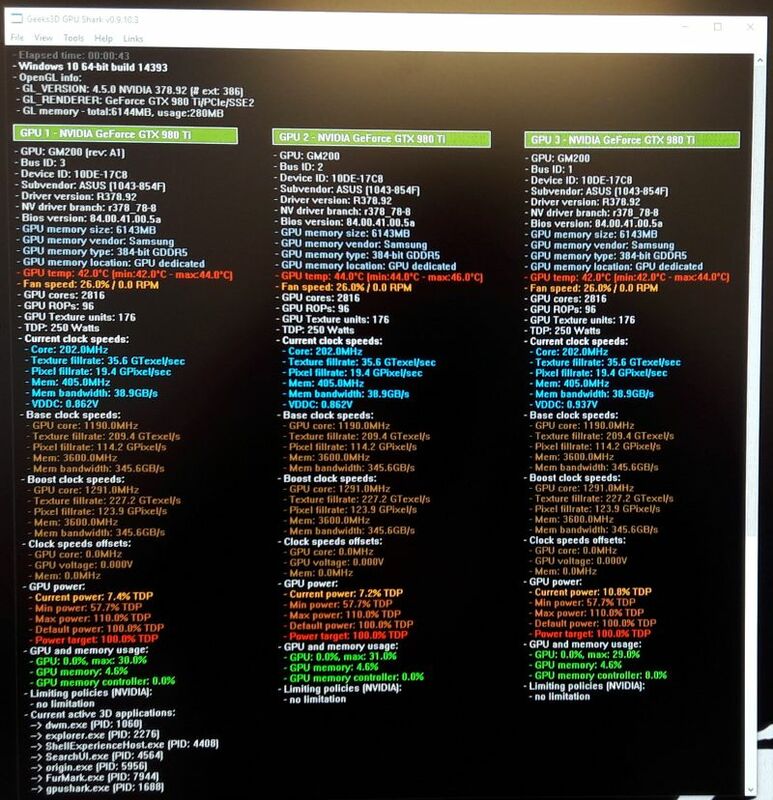 Intel GPUs are listed but not monitored. 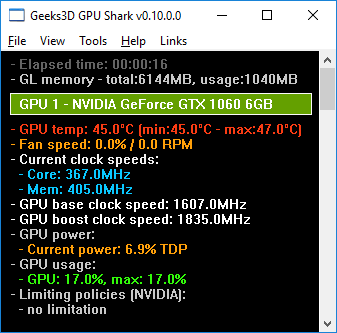 GPU Shark 0.10.0.4 is a maintenance release and brings the support of the GeForce GTX 1070 Ti graphics card. GPU Shark 0.10.0.3 is a maintenance release and brings the support of Radeon RX Vega 64 and Vega 56 GPUs. GPU Shark 0.10.0.2 is a maintenance release and fixes a bug in the reading of clock speeds on Radeon GPUs. GPU Shark 0.10.0.1 is a maintenance release and brings with the support of the GeForce GT 1030. You can post any feedback or bug-report in this thread. * bugfix: clock speeds on Radeon GPUs. Can you please make the older versions available as well? The download links on the older version pages are broken.